James Austin Senecal '19, a senior at Hampden-Sydney College, has been awarded a 2018 Boren Scholarship. Boren Awards provide U.S. undergraduate and graduate students with resources and encouragement to acquire language skills and experience in countries critical to the future security and stability of the United States. 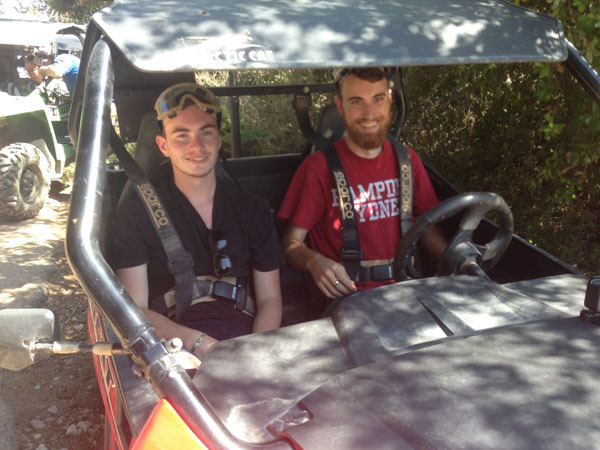 Austin is the first Hampden-Sydney student to win this prestigious award. 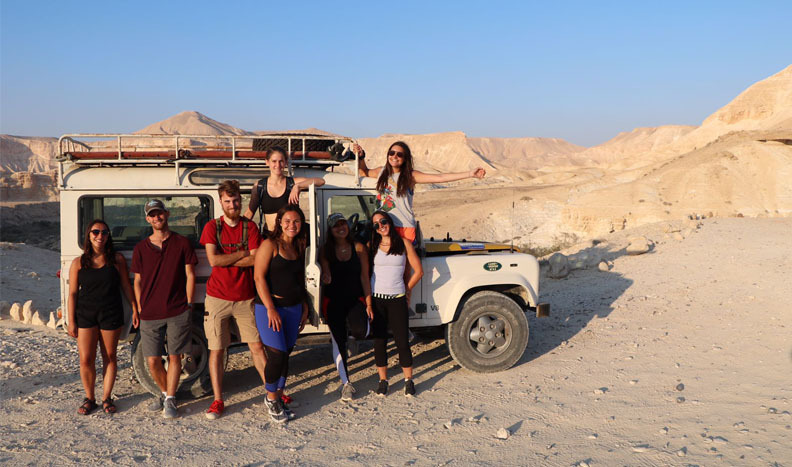 A history major from Wake Forest, NC, with a minor in military leadership and national security, Austin will spend the full 2018-19 academic year at Tel Aviv University in Israel studying the Hebrew language and the political history of the Middle East. He plans to employ his knowledge of Hebrew in examining Israeli counter-terrorism efforts. "If someone had told me my freshman year that I would spend my senior year in another country studying what is now my third language, I would've thought they were out of their mind," Austin said with characteristic humility. "And yet, here I am." Just 221 undergraduates nationwide were awarded David L. Boren Scholarships, which are funded by the National Security Education Program and administered by the Institute of International Education. Boren Scholars must commit to at least one year of federal service in exchange for funding of up to $20,000 for a 6 to 12 month period of study. If someone had told me my freshman year that I would spend my senior year in another country studying what is now my third language, I would’ve thought they were out of their mind. Following graduation from Hampden-Sydney, Austin intends to pursue military service. His long-term plan involves graduate study in counter-terror law, and he is interested in eventually working in counter-terrorism for the federal government. "My family has a long history of public service," Austin said. "In the past three generations, we have served in fire, EMS, and law enforcement, as well as in militaries both American and foreign, the legal sector, social work and other similar areas. I never made a single conscious decision to join the military or work in public service. It's just always been something that has surrounded me." "Austin has been a model citizen and scholar at Hampden-Sydney, and he is living out our mission of forming 'good men and good citizens,'" said President Larry Stimpert. "We are proud of Austin for this pioneering achievement and for his commitment to public service." 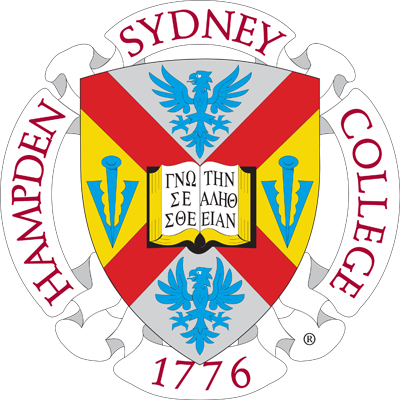 Many Hampden-Sydney faculty and staff supported Austin during the application process, including Professors Viktoria Basham, James Frusetta, Cristine Varholy, and Warner Winborne, as well as Director of Global Education Daniella Widdows, Lt. Col. Rucker Snead of the Wilson Center for Leadership in the Public Interest, and Ferguson Career Center Director Stephanie Joynes. Dr. Varholy, an associate professor of English who also serves as director of the Office of Fellowship Advising, indicated that Austin may not be the last Boren Award winner at Hampden-Sydney. "They would like to send a representative to campus in November," Dr. Varholy said. "Clearly, they have taken notice of the College and its programs and hope to recruit more candidates from among our students." Austin credits much of his success to Hampden-Sydney's Rhetoric Program and the support of faculty and staff. "I know that there are more H-SC students who could undoubtedly win the award, if only they were to apply," he says. "The support I received from faculty and staff was extraordinary. Without a doubt, I would not have won the award without their assistance, for which I am incredibly grateful." Students interested in the Boren Awards or other study abroad scholarships should contact the Office of Fellowship Advising. Visit www.borenawards.org to learn about the Boren Award application process.